1. Preheat oven to 375 degrees. Lightly grease 2 baking sheets. 2. Beat the butter and sugar until smooth. Beat in the vanilla, salt and baking powder, and add the flour, mixing until well blended. 3. For the coating: shake the sugar and cinnamon together in a baggie. 4. Drop 1 inch diameter balls of dough into the bag. 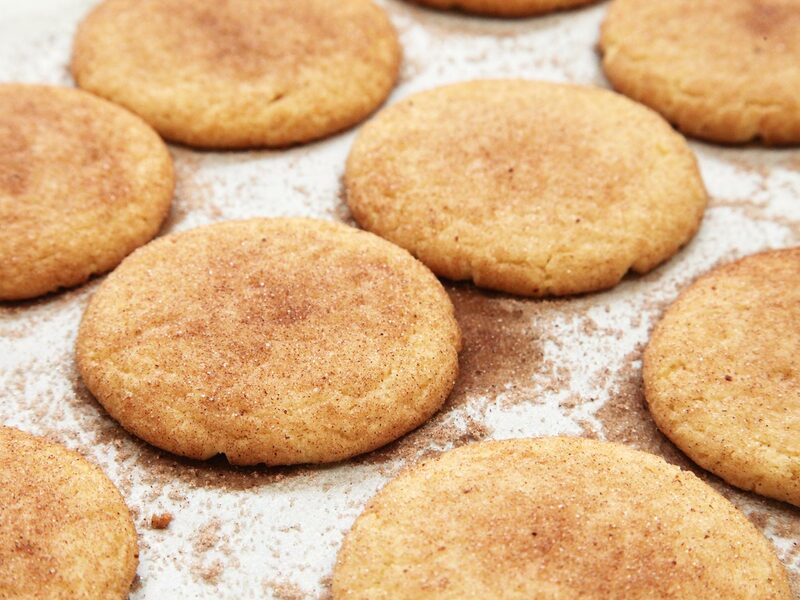 Toss the cookies in the cinnamon-sugar mix until coated. 5. Place the cookies 1 1/2 inches apart on the baking sheets. Use a flat-bottom glass to flatten them to about 3/8 inch thick. 6. Bake the cookies for 8 to 10 minutes. Remove from oven and cool.